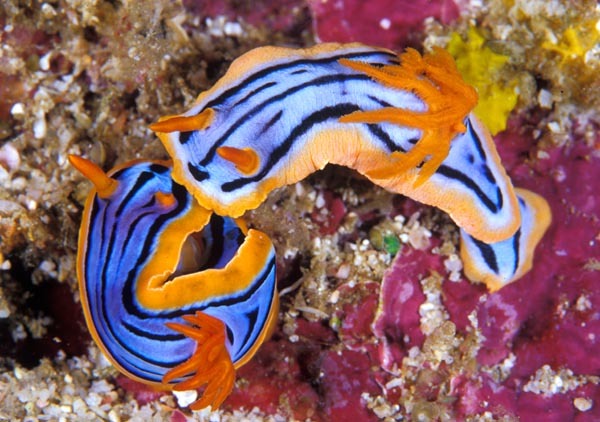 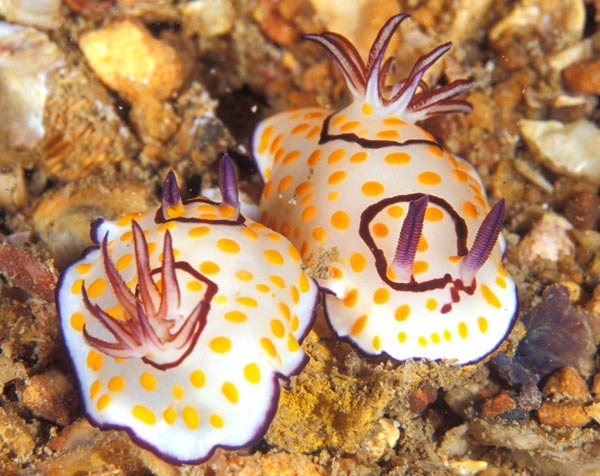 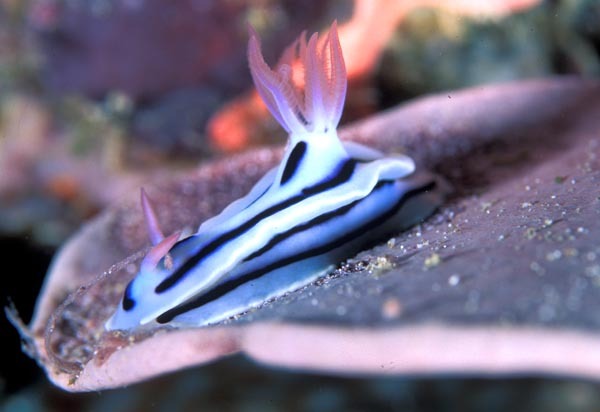 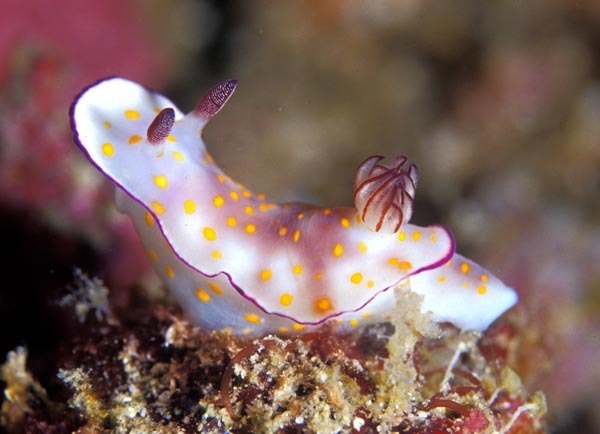 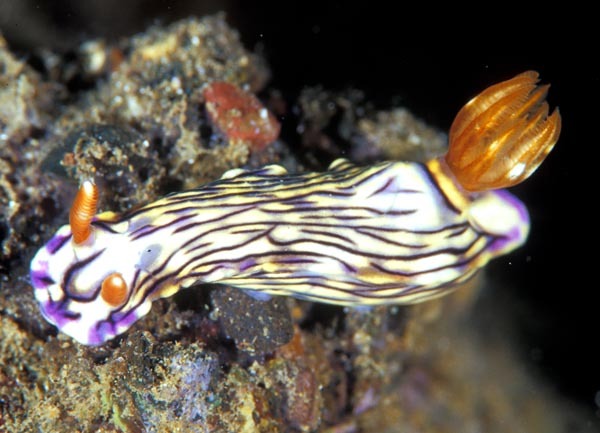 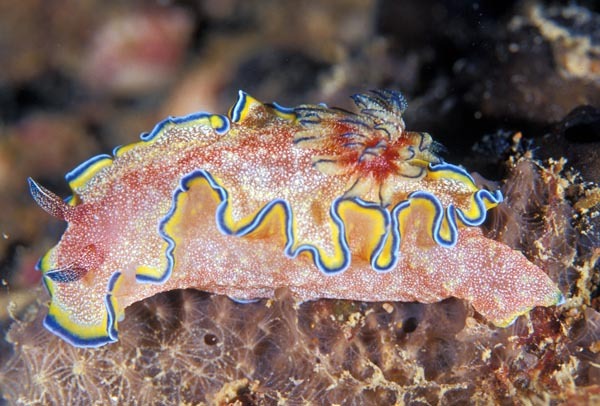 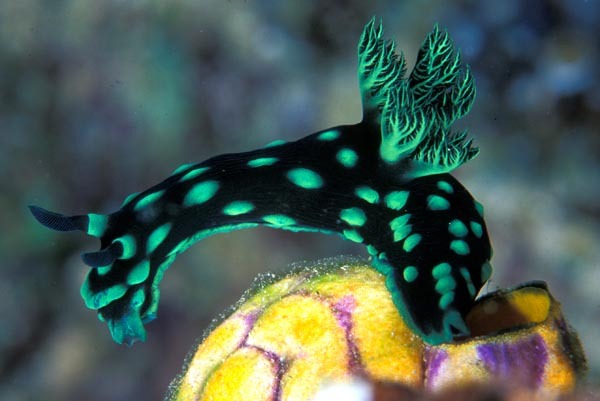 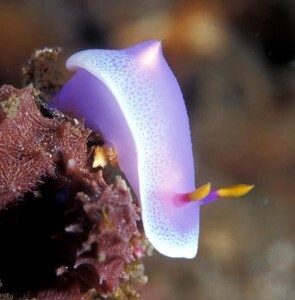 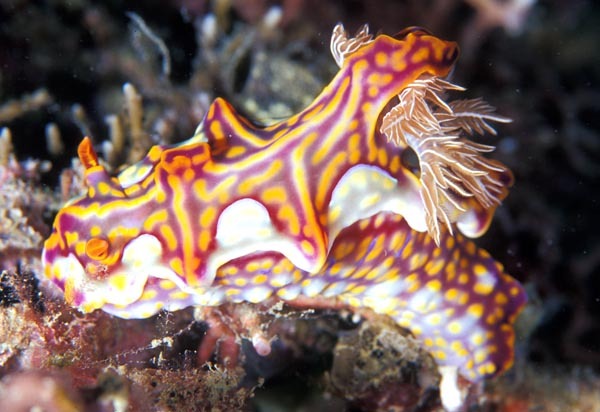 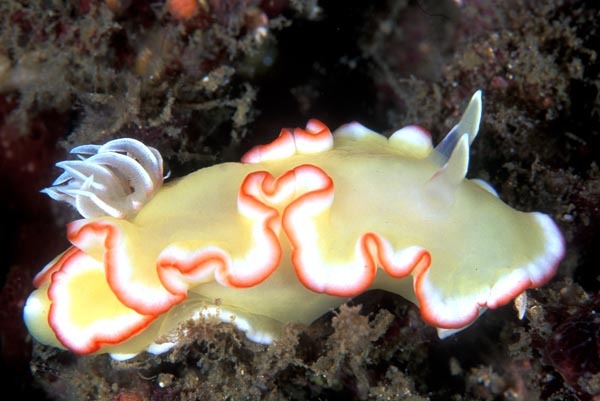 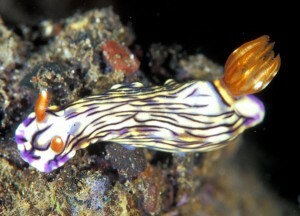 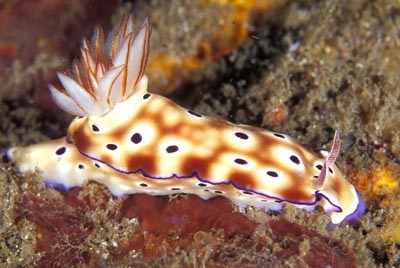 Nudibranchs are colorful creatures, that fundamentally are sea slugs that do not have shells. The name comes from the Latin “naked gills”, since their gills are external. They have very primitive eyes, quarter millimeter in diameter, in their body with five photo receptors each. 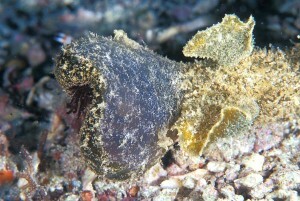 They have horns called rhinophores to detect odors. 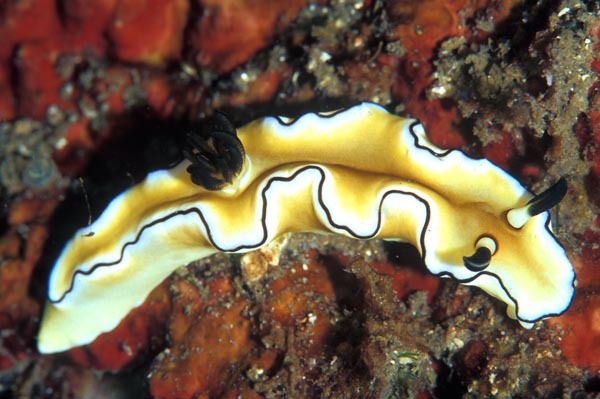 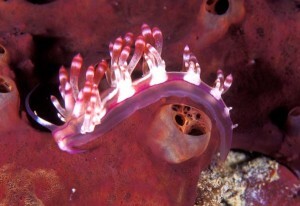 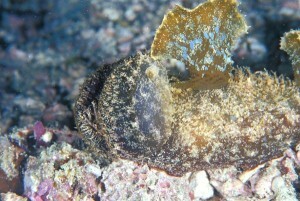 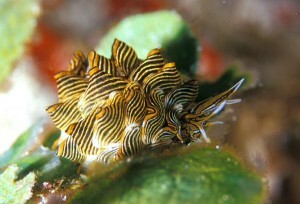 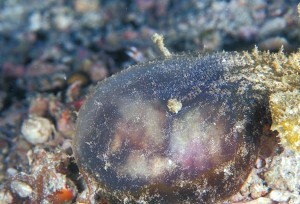 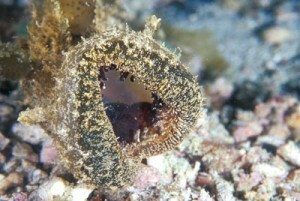 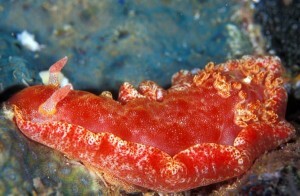 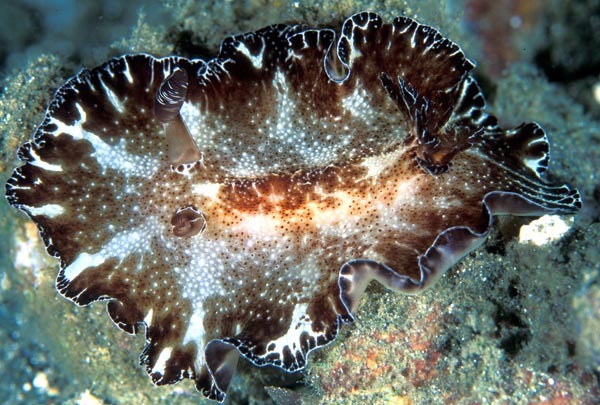 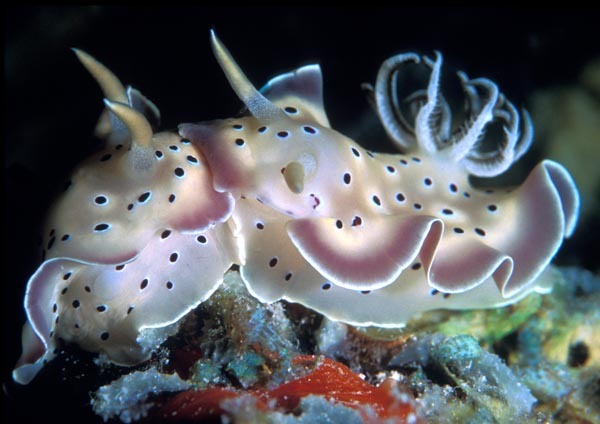 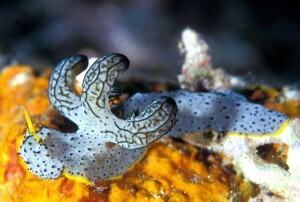 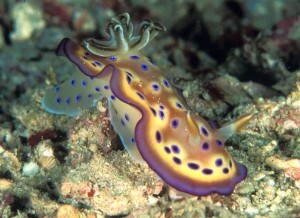 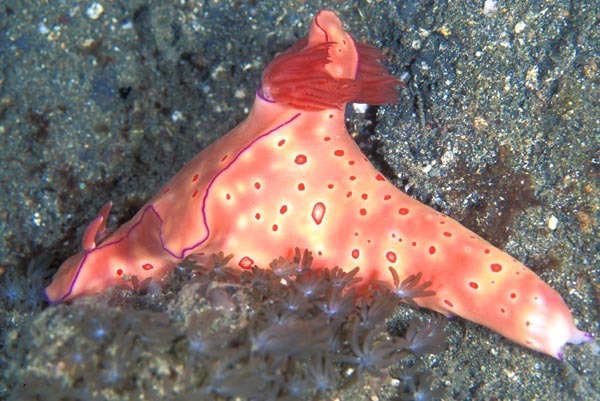 They are carnivorous, eating sponges, jelly fish, barnacles, etc, as well as other nudibranchs. There are around 3000 species and range in size from .75 inches to 24 inches, and come in many colors and shapes. Their protection comes from ingesting stinging or bad tasting cells from other creatures, and advertise this with bright coloration. 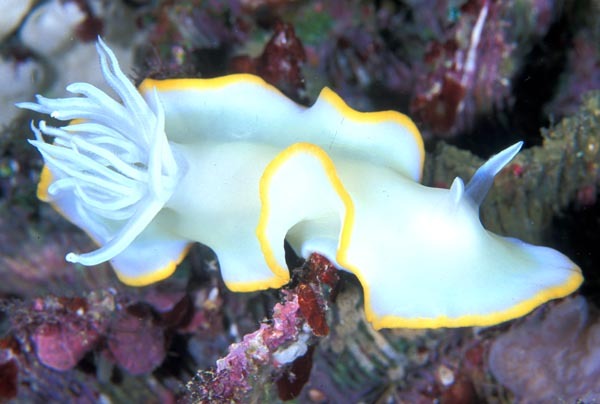 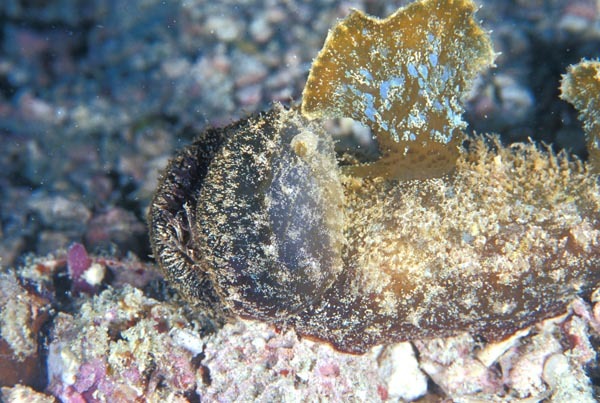 There are some very interesting sub-species, such as the solar powered nudibranch that ingests sponges then receives nutrients from photosynthesis. Another variety that we call the “vacuum cleaner” nudibrach has an interesting feeding mechanism. 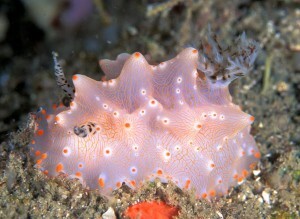 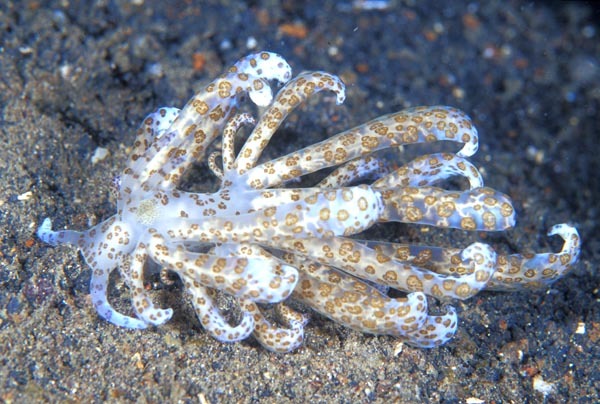 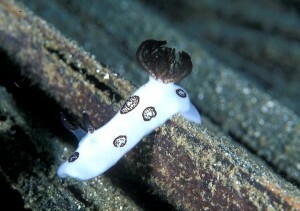 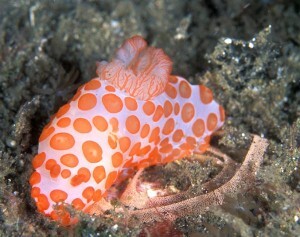 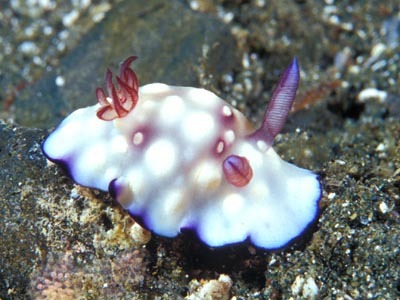 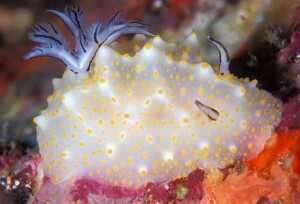 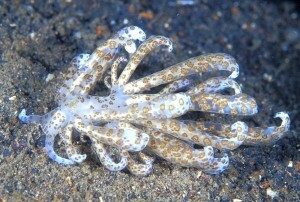 Nudibranchs lay eggs, as seen in the case of the orange poka dot specimen below. These images were captured in a number of different locations around the world, as the nudibranch is found in most oceans. “Vacuum cleaner” nudibranch feeding sequence.